The Leader's Set is saved data regarding your preferred Equipment and Skills configuration. 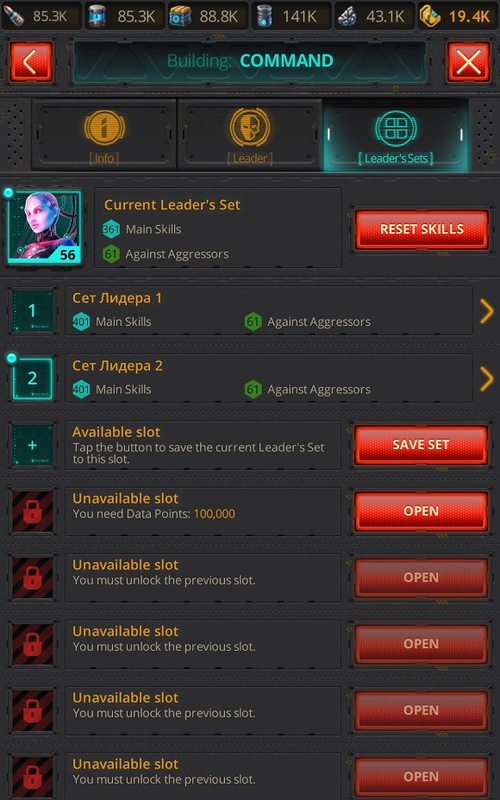 You can create several Leader's Sets, each containing various Equipment and Skills sets, so that you can switch between them according to your current situation. The switch occurs straight away.